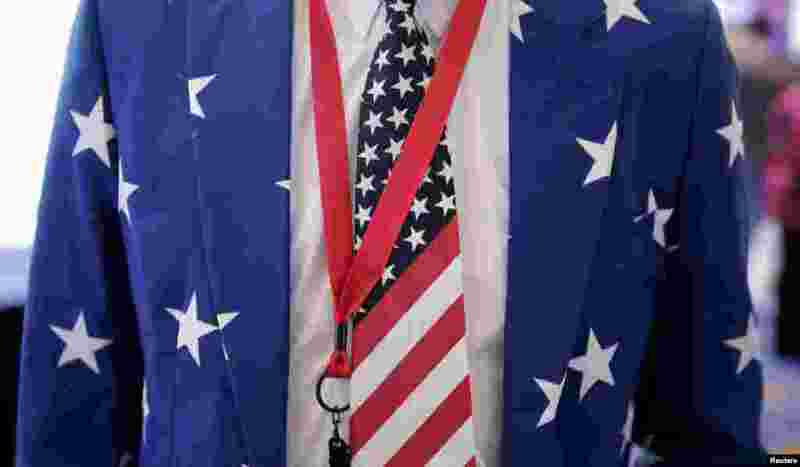 ١ A man wears a suit with stars and an American flag tie at the 2016 Conservative Political Action Conference (CPAC) at National Harbor, Maryland. 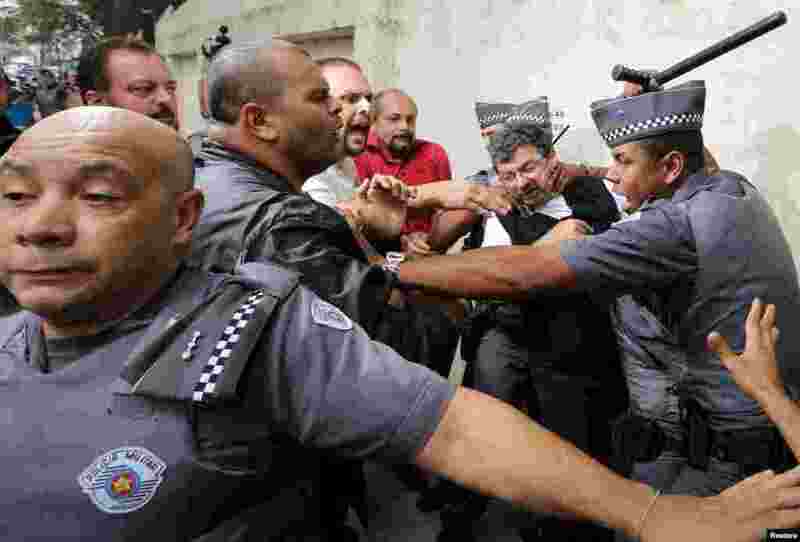 ٢ Supporters of former Brazilian president Luiz Inacio Lula da Silva confront police officers during a protest in front of Lula's apartment in Sao Bernardo do Campo, Brazil. Police questioned the former president and searched his home, in the most recent development yet in the sprawling corruption case involving oil giant Petrobras. 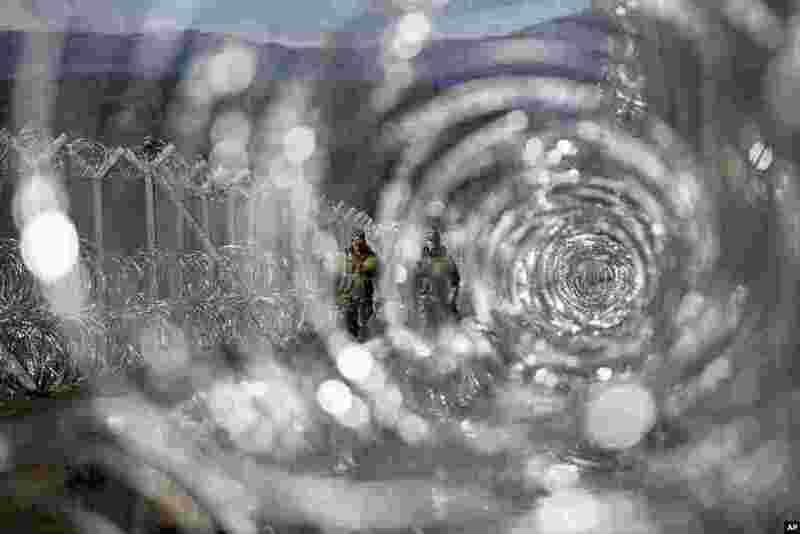 ٣ Macedonian soldiers patrol beside the two-line protective fence set along the border with Greece, near southern Macedonia's town of Gevgelija. Some 30,000 refugees and other migrants are stranded in Greece, with 10,000 at the Idomeni border crossing to Macedonia. 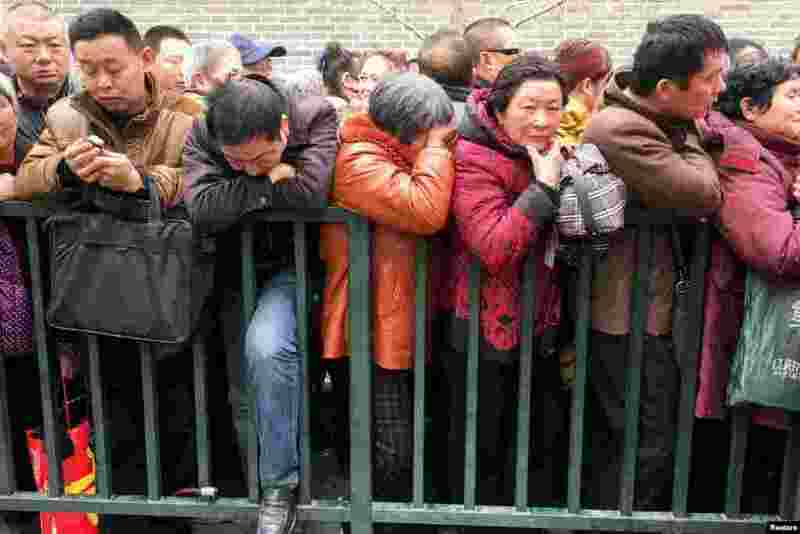 ٤ Petitioners stand in a line to enter the State Bureau For Petitions and Visits, which handles applications from petitioners from all over China, in Beijing. Every year petitioners from across the country come to Beijing hoping members of parliament can help them with their grievances.